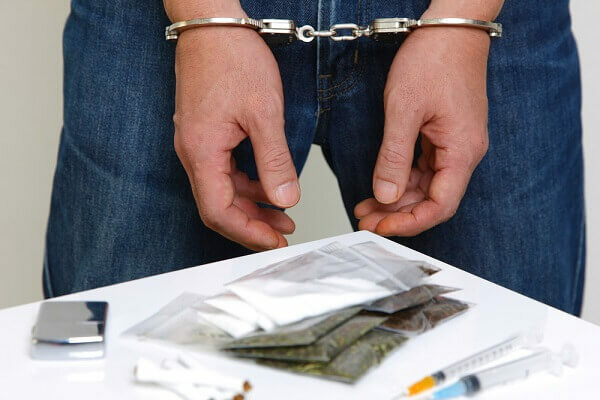 If you have been arrested on suspicion of a drug crime in Marathon County or any other county in North Central Wisconsin, you need to take your criminal case extremely seriously. Drug crimes are subject to heavy punishment under Wisconsin law, and beyond the fines and jail time, the practical consequences of a drug crime conviction can extend to nearly every aspect of your normal life. This is true even for a first-time offense for “simple possession.” Simple possession charges can carry maximum penalties ranging from six months to six years in prison, and $1,000 to $10,000 in fines depending on the drug involved. Then, there is the possible loss of your driving privileges, the impact on your family, the impact on your ability to get into school or get a job – and these often just scratch the surface of the practical implications of a drug crime conviction in Wisconsin. So, if you have been arrested for simple possession, possession with intent to distribute, or any other drug-related offense, what can you do to give yourself the best possible chance of avoiding these serious consequences? Once you have been arrested, you have the right to remain silent. Police investigators are trained in using interrogation techniques to solicit incriminating evidence from criminal suspects (even when you may not realize that you are being interrogated), and exercising your right to remain silent will help you avoid saying anything that might be used against you in court. This may sound obvious, but it’s easy to let your court date slip, and this is something that you absolutely do not want to have happen. Make sure that you know when you are expected to show up in court, and make plans now to take off from work and get to the courthouse in plenty of time. Even if your court date isn’t for a while, the time to hire a lawyer is now. In fact, ideally you want to hire a lawyer before you get arrested. Leading up to your court date, there are a number of steps that an experienced defense attorney will be able to take to fight your charges, potentially resulting in a reduction in charges, a favorable plea deal, or even having your charges dropped prior to trial. Finally, we know it is tempting to go online and complain about the police or talk about how you have been wrongfully accused, but this is generally not something that you want to do while your case is pending. Remember: The police and prosecutors will have access to anything you post publicly on social media (and they do go looking), and you do not want to give them anything that they might be able to use against you. Contact a Criminal Defense Lawyer at Crooks, Low & Connell, S.C. The criminal defense lawyers at Crooks, Low & Connell, S.C. represent clients in drug crime cases throughout North Central Wisconsin. For advice about defending your charges and protecting your legal rights, schedule a consultation with one of our defense lawyers today.